One of the easiest ways to get reliable prints of complex objects is by using HIPS filament. Makerbot dissolvable filament is HIPS. 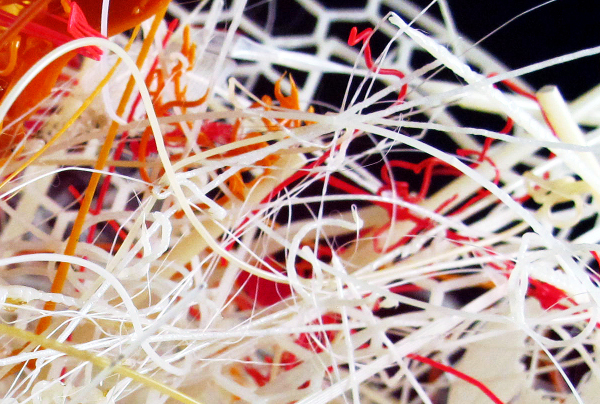 HIPS, a special polystyrene filament, dissolves in the chemical limonene, sometimes known as dilimonene or d-limonene. Limonene dissolves the HIPS scaffolding leaving behind the PLA or ABS structure. Huge overhangs are possible with this method, and cleanup is much easier than manually snipping, clipping, and sanding off scaffolding. What is the best disposal method for Limonene used for 3d printing? Evaporation. When using Limonene to dissolve HIPS, the usual method is to submerge the object in Limonene so the HIPS melts off the print. 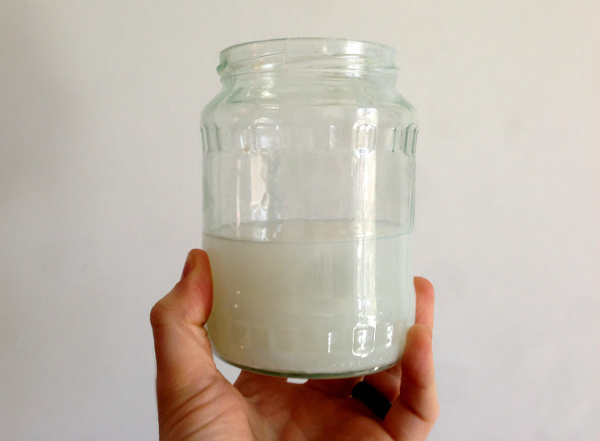 After enough uses, the limonene is cloudy with plastic and a layer of sludge builds up at the bottom of the container. The normal method of disposing Limonene is to dilute it with water then pour it down your drain. If you’re using Limonene to dissolve HIPS, you’ll have plastic residue in the Limonene. HIPS is a version of polystyrene, the same plastic used in packaging materials and styrofoam. If you pour the plastic down your drain, it can build up in your plumbing. Other instructions advise to incinerate Limonene, but when used to dissolve HIPS, you’d also be burning the polystyrene, which gives off toxic fumes. If you pour your leftover Limonene into a large pan outside, it will slowly evaporate, leaving behind a deposited layer of HIPS. Only do this outside. Limonene vapor can irritate your lungs in a closed space. Limonene is also considered flammable, because it has a low flash point. If you have the limonene evaporating near your 3d printer, there’s a chance the vapor could ignite. Evaporating the Limonene will take longer, but it is better for your plumbing, the environment, and evaporation is safer than other options. Companies trying to capitalize on the cool factor of 3d printing are falsely claiming their products are 3d printers. A new example of this comes from the Melt Icepops, a Netherlands company that makes flavored icepops. 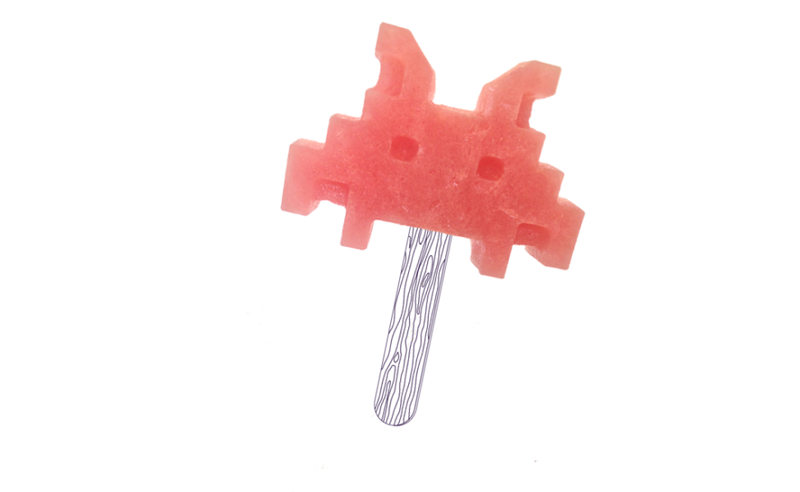 As described in various sites, their Icepop Generator “3d printer” makes custom shaped icepops based on 3d models. The problem: what is called a ice 3d printer is a CNC machine. 3d printing is the common name for additive manufacturing. The final print is built layer by layer until the object is completely created. CNC machines drill out a block, subtracting off material until the object is finished. CNC manufacturing is the opposite of 3d printing. Creating edible ice treats through CNC machining shows innovation, and their process uses similar techniques to 3d printing. Customers could scan their faces then get an edible version of their head. But Melt Icepops is not an example of 3d printing. Mislabeling it as 3d printing is a marketing move just to generate interest in the company. 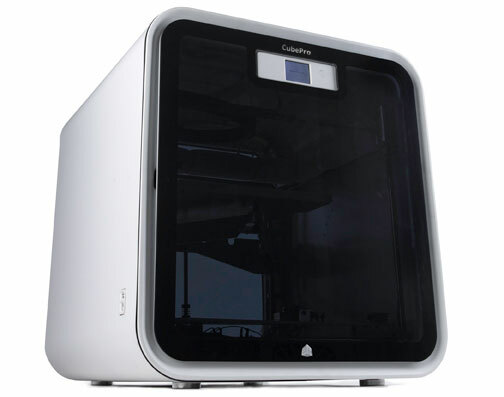 3d Systems announced a new entry into the prosumer level 3d printer market with the CubePro. The CubePro supports three colors over a huge build space of 10.8” x 10.45” x 9.5”. The final price is likely to be just under $5000. This 3d printer is an attempt to play for the dominance of the MakerBot Replicator 2X, which, priced at almost $2,000 less, might be the better option for a prosumer grade printer. The added third color can open up print options unavailable before. However, prints using multiple print heads are only available at lower print resolutions. For dissolvable supports, the CubePro uses the 3D Systems standard of PLA for support material and ABS for the print. The PLA is dissolved using caustic Sodium Hydroxide in a heated bath. This option requires more equipment and careful technique. Like other 3d Systems printers, you must use their cartridge system for filament. So it forces vendor lock-in for raw materials. The CubePro is a high priced system clearly targeting the lower pro tier. It’s a clean plug and go system for users who don’t have the time to experiment and just want a system that gives decent prints. If you absolutely need 3 colors, this is the easiest way to get it. If you want a better system with a lower total cost of ownership, the MakerBot Replicator 2X is the clear choice. 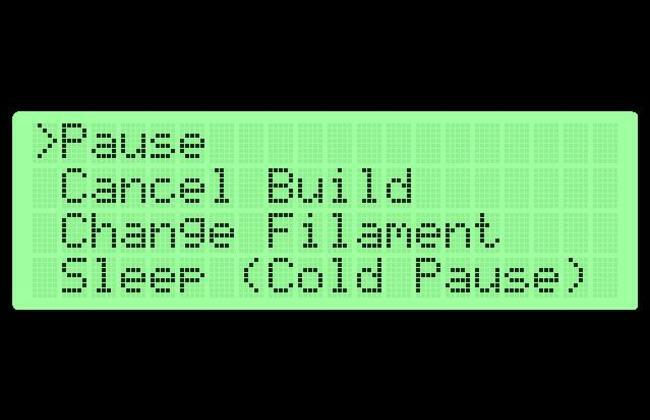 MakerBot Replicator lets you switch filament out in mid-print easily with the LCD menus. If your reel of filament is running low, or you’re doing some advanced color switching, here’s how to safely switch the filament. Press Filament Change in the menus. Try to press this while your printer is doing infill, so you don’t get a blob on the surface. Press Load. Follow the loading instructions to insert your new color. If you have a new model with the levers, remember to switch them back so that the motor is driving the filament again. Exit the menu, then press Resume Build. The LCD may say “restarting build”, but it is starting up where it left off. The pause/unpause option does not work to resume the build. 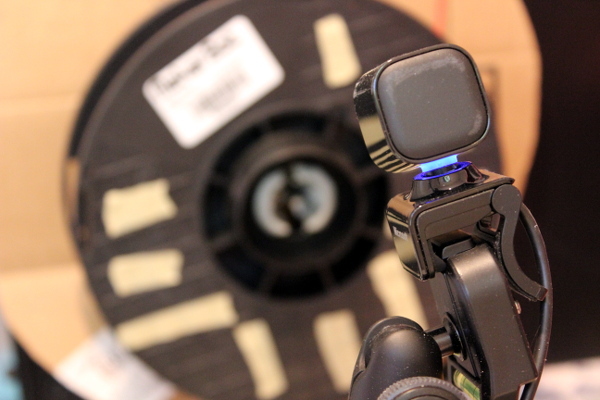 This will let you easily switch out filament reels for longer or more colorful prints with less hassle about making sure you have enough. As long as you press Filament Change while the print head is not on important surface detail, the print will resume where it left off. If you switch filament quickly enough, the print won’t cool off too much and the layers will still have good adhesion. 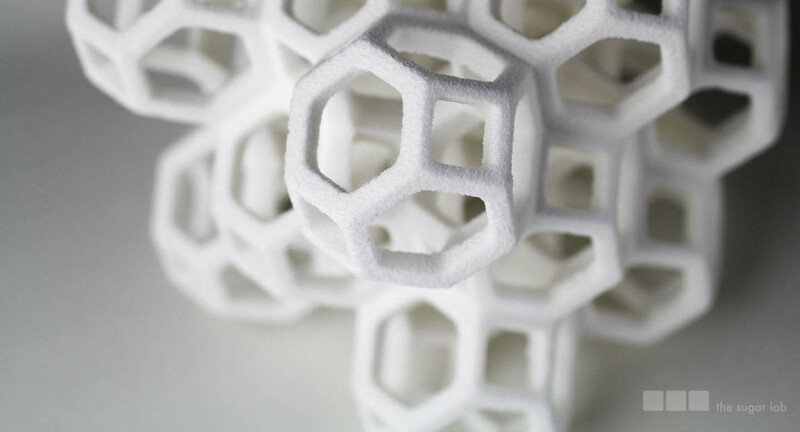 3D printing giant 3D Systems announced they have completed purchase of The Sugar Lab, a small startup dedicated to exploring a new way of 3D printing directly in sugar. Their machines allow direct deposit of sugar, building complex objects with ornate geometries. The sugar is printed using the same deposition technology as current FDM, applying one layer at a time. The sugar is held together using a binder that is edible and meets food safety standards. 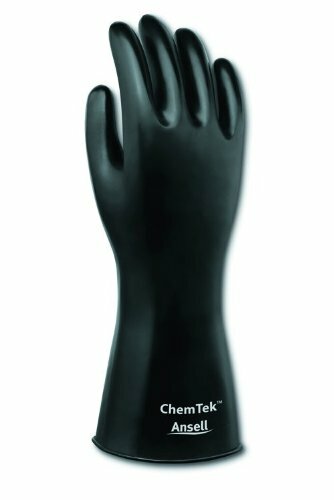 3D Systems has pursued a strategy of innovation by acquisition, and this is another piece of intellectual property they have added to their stable. The founders of The Sugar Lab have a patent on producing food through 3d printing with the use of edible binders, which was granted earlier this year. This patent is general enough that 3D Systems will be able to be a gatekeeper to 3D printable food systems for the near future. The patent and innovation behind the idea fueled this acquisition. 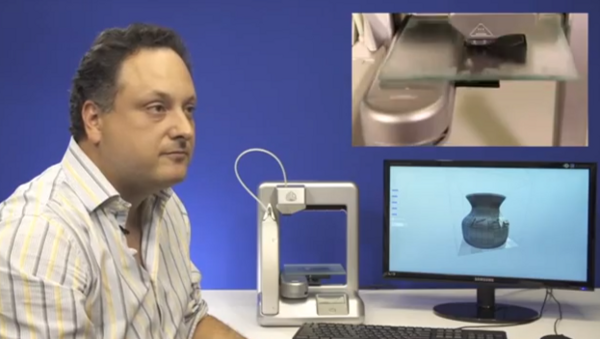 Microsoft announced yesterday it will add native 3d printer support to Windows 8.1. The new version of the operating system adds an API to allow developers to use 3d printers as if they were standard 2d printers. System dialogues will provide print previews and send the object to the 3d printer for printing. We took a look at the documentation at the new API and while it makes sense for Microsoft to try to consolidate control, their new workflow both overcomplicates and oversimplifies the process.